At VoIPstreet we offer a full suite of End User phone services including Metered (per minute usage based), Lines (Residential & Business), SIP Trunks and Hosted PBX services. We are one of the original VoIP service providers and offer VoIP phone services to the residential, SOHO (small office home office), SMB (small business), and enterprise markets. Our customers range from families and home offices to large corporations. We have flexible, easily customized packages to suit your phone service needs. Our services are available without a contract, and with no monthly minimums. Our transparent and all-inclusive pricing packages makes managing your account a breeze. Need to keep your existing number? Not a problem, with our LNP service, we can transfer that number to our network for a one-time fee, plus standard DID fees. Our BackOffice portal will allow you to quickly find, assign and provision DID’s instantly. VoIPstreet’s proprietary web portal provisions endpoints and assign device usernames and passwords in real–time. Add in the VoIPstreet 24x7 award winning customer service center and you can’t go wrong! • Origination (Inbound Calls) – We offer DID’s in the US, Canada, Puerto Rico and over 30+ countries. We offer service on a per-minute rate or flat rate DID pricing. Our Wholesale DID origination footprint provides coverage to over 8,500 rate centers in the US and offers instant access and provisioning to more than 500,000 Wholesale DIDs. • Termination (Outbound Calls) – Our domestic Wholesale VoIP Termination provides access to dozens of the industry's top SIP termination carriers. We aggregate each providers’ Wholesale SIP Termination services using our proprietary least cost routing (LCR) system, giving our customers one low cost and high quality wholesale SIP termination offering. • Toll-Free (Inbound Calls) – At VoIPstreet we offer US/Canada Toll-Free Numbers with a low per minute rate. We have Wholesale Toll-Free DIDs available for instant provisioning, or we can port existing Toll-Free DIDs to our network. VoIPstreet is a Toll-Free Responsible Organization (RESPORG) and has direct access to the SMS800 (National TFN database). This gives us the ability to provision and port Wholesale Toll-Free DIDs quickly to our network. Being a Toll-Free RESPORG also enables us to route calls to multiple carriers, providing our customers with failover protection. Outbound Calling: US48 1.9 cents/min. Our phone lines are ideal for both residential and commercial use. This solution is great to use for traditional phone line replacement in your home or office. Each VoIP line comes with 2 channels and a standard set of features and you can easily provision a single line to any ATA (analog telephone adapter), IP Phone, or softphone device. Each line is managed using our innovative and easy to use End User portal which offers the ability to add multiple lines under one account. It’s perfect for adding additional family members and/or co-workers. Each line is provisioned with E911 and 411 listing services and End Users have the ability to add as many virtual numbers as needed, all in real-time and with instant access to over 60-countries. SIP Trunks are quickly replacing PRI’s and traditional telephony services in the enterprise sector. Many businesses operating on a premise based PBX have made the switch to SIP Trunks, due to the price, and our VoIPstreet SIP Trunk service is filling that need. Selecting the right carrier is important for call quality and functionality. Our SIP Trunk products for premise based IP PBX's can quickly provision and deploy SIP Trunks in real-time. Our SIP Trunk product gives you 2-trunks with unlimited calling to the entire US and Canada. Each account has instant access to over 8,500 rate centers and 500,000 DIDs. End Users have the ability to register on-net (Our DIDs) and off-net (other carrier DIDs) DIDs to our robust E911 service. Add in the ability to provision 411, CNAM storage, and other important features and your end users have a complete SIP Trunk service! Our Hosted PBX solution offers large company features to the small business sector. Our solution is cloud-based, fully hosted, completely automated and simple to use. Our Hosted PBX platform provides all the essential components you will need to operate your business. These PBX features include the ability to create extensions, auto attendants, hunt groups, call transfers, find me/follow me and more. Any SIP compatible End User device will work with our platform. The system allows you to have a PBX administrator and multiple extension users. There are many Hosted PBX solutions on the market today. However, only VoIPstreet can offer you the network, quality and features at one low, all inclusive price. Our industry experience and award winning customer service has helped us create an industry leading Hosted PBX solution. 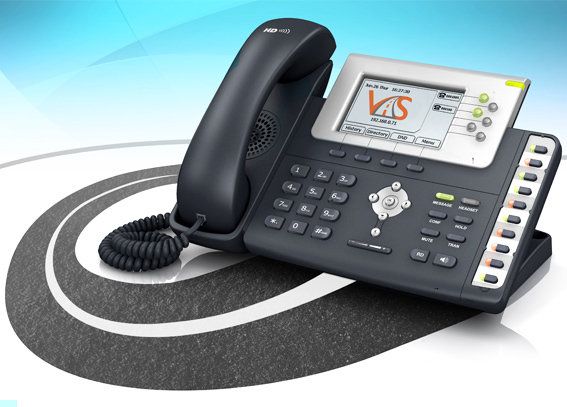 We have a wide variety of high quality VoIP services here at VoIPstreet. Below you can compare each service we offer and choose the best fit for you. **Unlimited Inbound calling, unlimited outbound calling to US48, Alaska, Hawaii, Puerto and Canada. ***Includes list of most popular countries at $.02 per minute. Metered Services are not reflected on the chart.